Large deeply lobed, strongly splashed with cream. 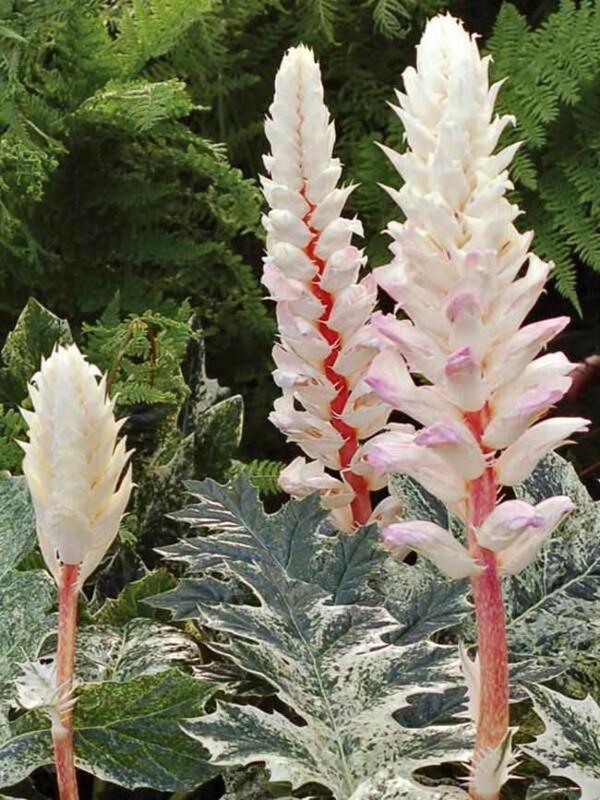 Upright spikes of white and pink hooded flowers, July onwards. Sun or semi shade. Grows well in pots.